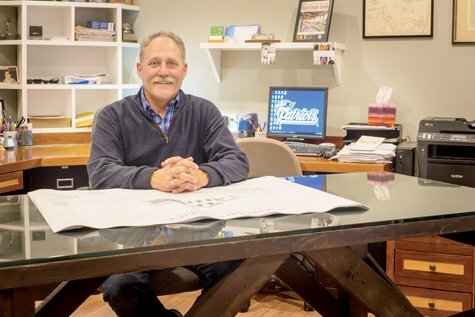 Doug Best and his wife, Maureen have strived to give back to the community that supports him and his business. His is a multi-faceted effort that includes donations to local causes and organizations, volunteering, fund raising, and recognizing his employees’ volunteer efforts. Over the years, Doug says that he and his business have donated up to $30,000 annually to Island charities, services and organizations. As his company grew, his giving accelerated to its highest yet in 2017. Doug first came to the Island in 1987 as the new owner of Dukes County Cable, a now-defunct cable TV company. At the time, he was working with his former father-in-law, a cable TV pioneer, with their company named Tele-Media. Doug turned their company’s connection with Ted Turner and MGM Studios into one of his first major fund raising projects on the Vineyard. Not only a major motion picture company, MGM also owned the props associated with their films. One of their films, 1962’s Mutiny on the Bounty, featured a replica of the HMS Bounty built in 1960. Doug arranged to have the ship sail to the Vineyard, and used the visit as a fundraiser for the Windermere Nursing and Rehabilitation Center. Among the numerous organizations D. Best Construction supports, a few themes emerge. One of these is sports and health – Doug is a runner himself, so that’s a natural fit. He supports the MV Hurricanes, a youth running group, donates to The Ice Arena, Island school sports, and other athletic causes. His company help build a restroom facility for the Sharks baseball team, free of charge, and several of his employees volunteer as soccer coaches. One organization that really stands out as a focus for Doug’s energy is the YMCA. “Health is so important for everyone,” he says, “the YMCA provides an opportunity for people to physically improve and care for themselves, it’s a facility that we didn’t have here before. It’s also a social option for many, including teenagers and the elderly who really take advantage of what it provides.” Doug has served as treasurer and chair of the finance committee and been on the board of the MV YMCA for the last eight years, drawing on his broad experience in businesses–large and small.